The Support Your Soldier Bracelet™ is a wonderful, comforting show of support for those with loved ones in the military. 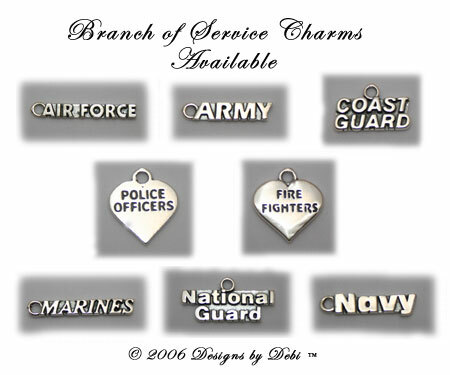 It will be personalized with your soldier's name in sterling silver letter blocks. 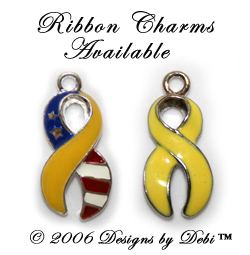 It also includes 2 charms...one for the branch of service and a ribbon charm, either yellow or yellow with a flag. The bracelet is available in 2 basic styles. 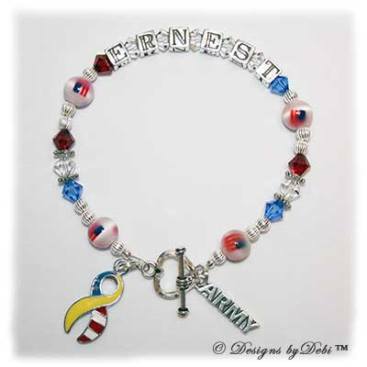 Style #1, the original style, is made with sterling silver letter blocks, beads, branch of service charm and heart toggle clasp; Swarovski® crystals in red, crystal and blue; fiber-optic flag beads and an enamel silver-plated ribbon charm of your choice. Style #2, introduced in 2010, is also made with sterling silver letter blocks, beads, branch of service charm and heart toggle clasp; Swarovski® crystals in red, crystal and blue and an enamel silver-plated ribbon charm of your choice. This style doesn't have the fiber-optic flag beads. 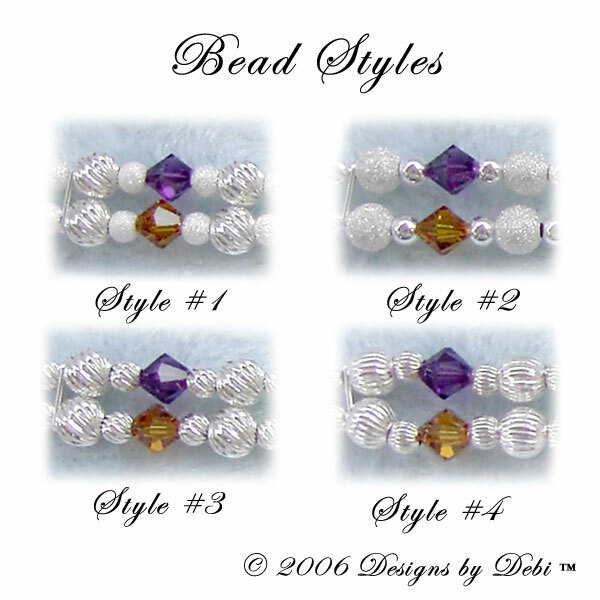 And there are 4 sterling silver bead combinations you can choose from. 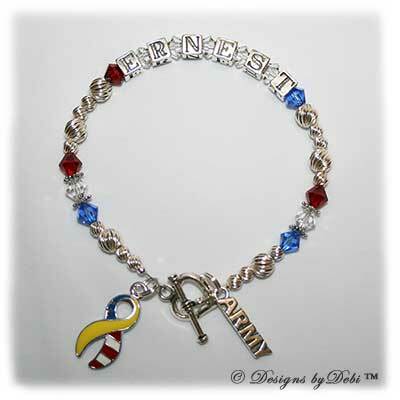 An "In Memory" dangle with red and blue crystals can also be added to your bracelet if you wish. The dangles are an additional $10.00. A portion of the proceeds from each Support Your Soldier Bracelet™ sale is donated to Soldiers' Angels. You can find out more about Designs by Debi Philanthropy here. 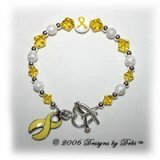 If you are interested in Support Your Soldier Bracelets™ done in yellow, they are on the Awareness Bracelets page. 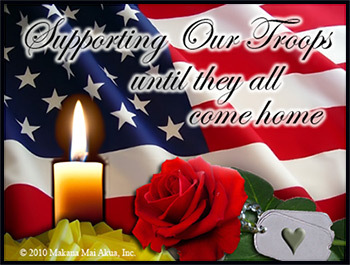 Please thank your soldier for his or her service!! And for those of you who may be purchasing this bracelet in memory of a loved one, may I offer you my sincere sympathy and appreciation for the sacrifices made by you, your loved one and your family.